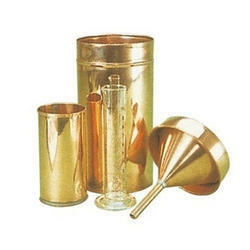 - Copper Rain gauge with 127 diameter rim, Supplied with inner can be measuring calibrated in mm and inches. With the aid of our proficient professionals, we have been able to come up with a gamut of Daily Rain Gauge. - Wide assortment of Daily Rain Gauge is offered to our prestigious clients. The HOBO RG3 data logging rain gauge is a self-contained rainfall logger that includes an integrated data logger with a high-quality tipping-bucket rain gauge. The RG3’s logger has a built-in temperature sensor and is on a cable so it can be used in an optional radiation shield for logging air temperature. A Rain Gauge measures the amount of rainfall during a certain period of time. It is useful to help scientists determine whether there is a shortage of water or a drought in effect. Used for measuring rain fall using measuring cylinder. We offer Self Recording Rain Gauge that is appreciated for its correct readings and durability. Our Self Recording Rain Gauge comprises of a nickelled brass receiver placed at the top of a sensitive dial pattern balance. Manufactured in the state-of-the-art unit, these Self Recording Rain Gauges are properly examined for flawless functioning. We are instrumental in offering a large gamut of awesome quality Ordinary Rain Gauge to our clients. Manufactured as per 15:5225 :1969. 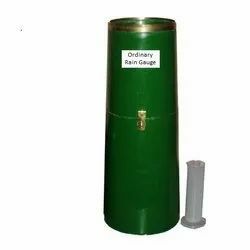 Rain Gauge is manufactured from non corrosive fiber glass reinforced plastic container. It consists of collector assembled with Brass Ring. Funnel, Locking Rings and Base. The Rain Gauge is supplied with 2 liter plastic bottle and glass measuring cylinder.